The area near 103rd and State Line Road was closed for part of the morning due to flooding. The view looking south from 102nd Street and State Line Road Thursday morning. Police had cordoned off 103rd Street due to flooding. This story was updated with additional information at 1:32 p.m. 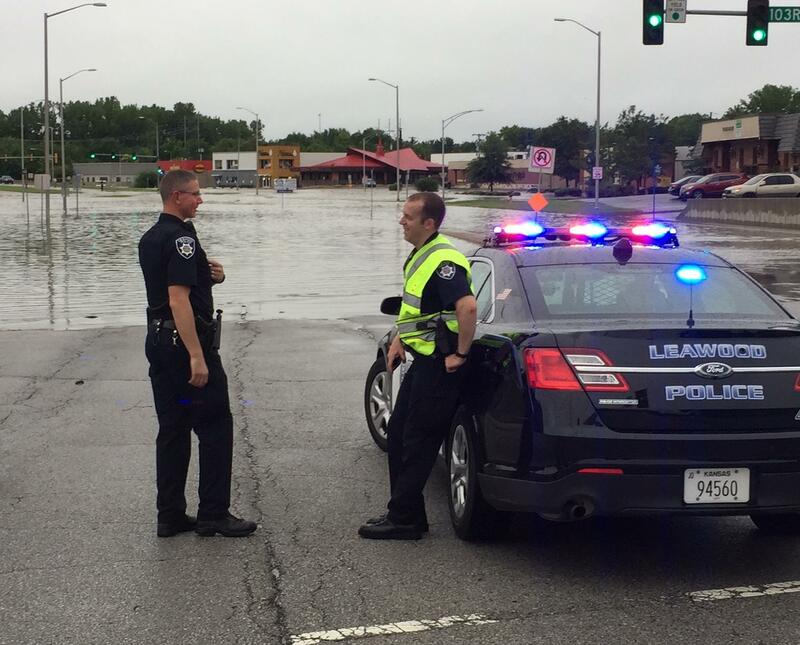 Heavy rains overnight caused severe flooding in parts of the Kansas City metropolitan area. In some areas of downtown, the rain at times fell at a rate of 2.5 inches per hour, according to the National Weather Service. Southern Cass County and parts of Lafayette County saw up to nine inches. Flooding was still widespread Thursday afternoon across the metro area, especially across portions of Wyandotte, Johnson and Jackson counties. "We have had some historical crests along some area rivers, particularly Indian Creek, (which) had a record of 27.96 feet, which is about two-and-a-half feet over the previous record," said National Weather Service meteorologist Spencer Mell. "And also along Tomahawk Creek we had a record of 20.81 inches, which bested the old record by about a foot-and-a-half." At 103rd Street and State Line Road, flood waters quickly trapped the owners of Coach's Bar and Grill after they came to check on the business. Bryan Darby said he and co-owner Chris Donna-Louise Carle arrived at the bar around 4 a.m. to try and save some paperwork. They found about a foot of water in the building. "And when we heard the wall break and the water came in, we hopped up on the bar and we realized that wasn't going to cut it. The bar was shaking so we hopped on a tall cooler, a beer cooler," Darby said. "But we realized that wasn't going to do it, so we got the ceiling tiles out of the way." Firefighters eventually rescued Carle and Darby through the ceiling around 8:15 a.m.
"We were scared in there," Darby said. "I've never been in something like that." Indian Creek in the area hit a high-water mark of 27 feet. 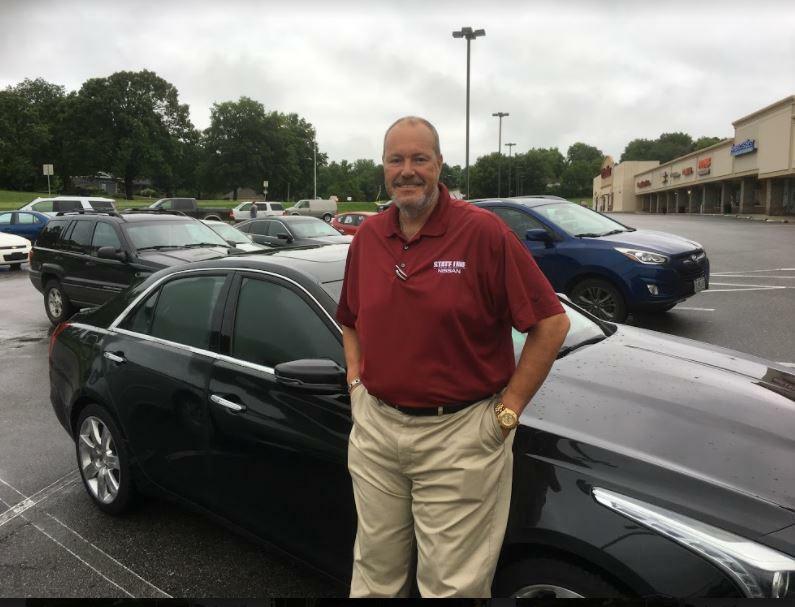 Charlie Tucker, general sales manager of State Line Nissan, stood in the parking lot of Watts Mill Shopping Center, unable to reach his dealership at the top of the hill in the autoplex along 103rd Street. At 8 a.m., Charlie Tucker, general sales manager of State Line Nissan, was standing in the parking lot of Watts Mill Shopping Center, just north of 103rd and State Line, which had been cordoned off by police. "I've tried to get into the dealership from all the different corners and (that) just wasn't going to happen unless we had a canoe," he said. "So I'm just waiting to see if any other employees show up that I haven't gotten a hold of yet to let them know that we're not going to be working today." Tucker said he watched the news before heading out from home and figured he wasn't going to make it to the dealership. "But I still came up just to see what was going to happen -- and it's not going to happen today." The National Weather Service issued a flash flood warning for Kansas City, Missouri, Kansas City, Kansas, and Overland Park, Kansas until 11 a.m.
Katie Bernard, a KCUR intern, contributed to this report. Lisa Rodriguez is KCUR's afternoon newscaster.